With millions of women envying Kate Middleton, now Duchess of Cambridge, I thought it would be a nice contrast to the universal gush to quote from Benjamin Disraeli’s first novel, Vivan Grey, written when he was only twenty-one years of age, and later suppressed, but then republished at the urging of Goethe and other admirers. It is almost inconceivable, reading this book, that he would one day be the Prime Minister of England, a close adviser to Queen Victoria, and a major player in world politics. 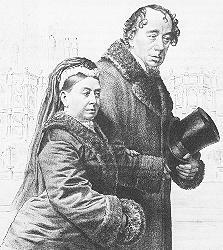 [Disraeli’s narrator, describing the Princess’s letter to Vivian:] She spoke of her exalted station as a woman, that station which so many women envy, in a spirit of agonising bitterness. A royal princess is only the most flattered of state victims. She is a political sacrifice, by which enraged Governments are appeased, wavering allies conciliated and ancient amities confirmed. Debarred by her rank and her education from looking forward to that exchange of equal affection which is the great end and charm of female existence, no individual finds more fatally and feels more keenly that pomp is not felicity, and splendour not content. Some parts of this first novel are obviously satirical, for instance the calamitous ending that parodies German Romanticism. But the passage I quoted above seems to be written from the heart and in the author’s true voice. Also, I am convinced that either Melville channeled the young Disraeli or read this book, for the sendups of fashion and foppery will find their echoes in Melville’s The Confidence-Man: His Masquerade (1857). I do not claim a perfect analogy with the situation of Kate Middleton. These are more democratic times. 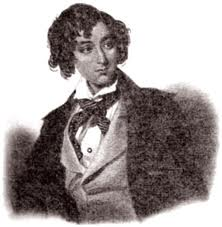 But the abasement of many before the aristocracy is noted here, and Disraeli, born a Jew but a convert to Anglicanism, never lost the tongue of the observant artist and independent commoner, [partially] masked though he may have been.